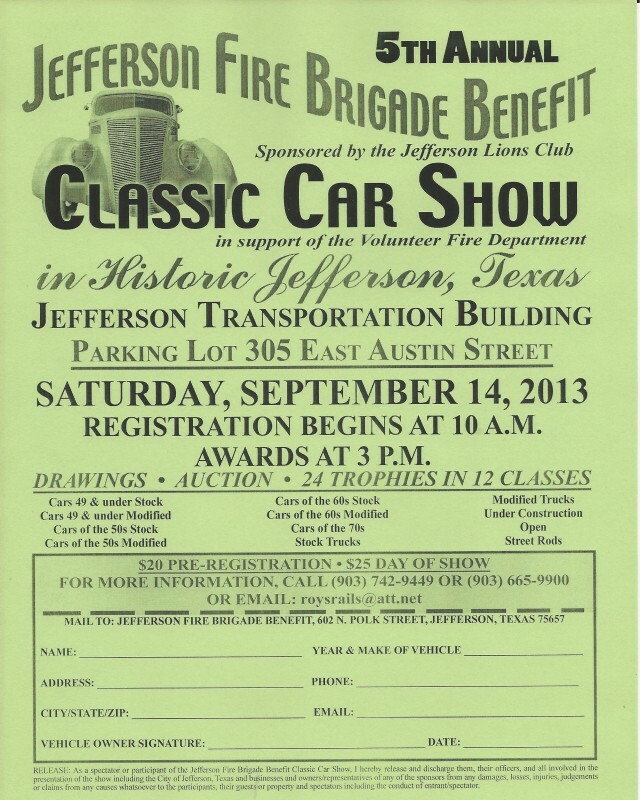 The Lion’s Club of Jefferson TX sponsors the 5th annual Fire Brigade Classic Car Show on Saturday September 14, 2013. The event supports our local volunteer fire department; who are in great need of a new tank. 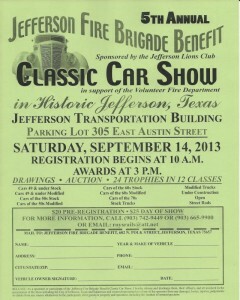 This year there will be trophies in each of the 12 classes, auction items for bidding and a drawing. 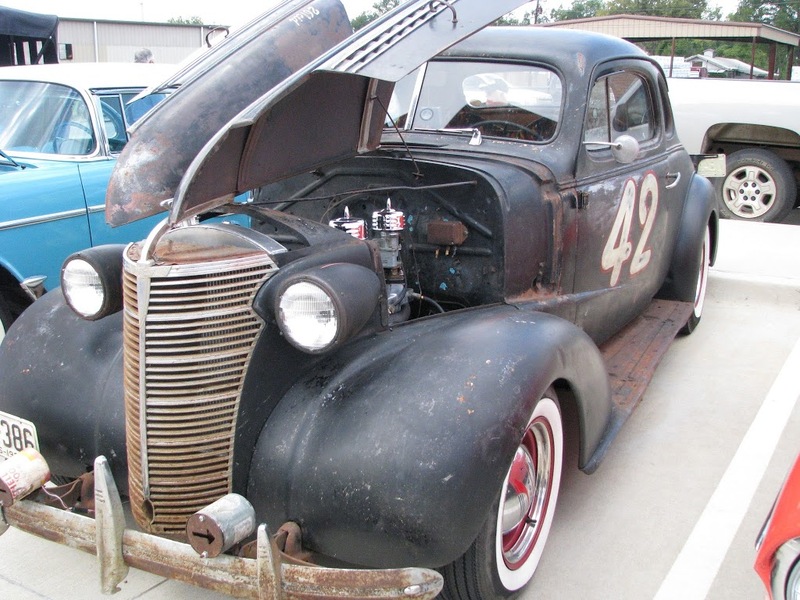 This entry was posted in Car Show, Fall Events by Tammy D. Bookmark the permalink.